Security fears and a lack of understanding are preventing the majority of Britons from using contactless cards and mobile phones to make payments, a survey has suggested. Around 73% of people said they felt they needed more education on the technology before they started to use contactless credit and debit cards or their mobile phones for transactions, according to research by Opinion Matters commissioned by payment solutions group Ingenico. 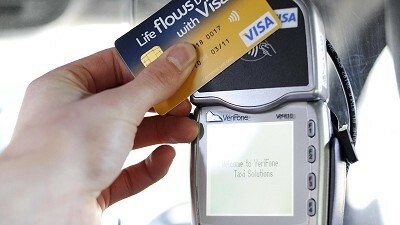 Consumers are also concerned about the risks involved, with 61% of people saying they needed more reassurance that these payment methods were secure before they used them, while 47% said they were put off using contactless cards because they thought it would put them at risk of fraud or identity theft. People were even more concerned about using their mobile to pay for things, with 56% saying they were worried about fraud and 52% were concerned about identity theft. Contactless payment technology enables people to pay for low value items, typically of less than Â£10 or Â£15, by holding their card or mobile in front of a reader. But take-up of the technology has been slow, with only 13% of consumers ever having had a contactless credit or debit card, while just 5% have made a payment using it. Four out of 10 people said they did not know where they could use a contactless payment card or mobile phone to pay for something and 35% said they did not know what one of the payment terminals looked like. Three-quarters of people thought the payment card industry should do more to educate customers about the new technology, and 55% thought retailers should help people understand their payment options. Craig Doyle, managing director for UK and Northern Europe at Ingenico, said: “Consumers have long demanded improved convenience and speed during their shopping experience. “But this research reveals that they are still not sufficiently confident in using contactless technology to make the switch from traditional cash and cards.